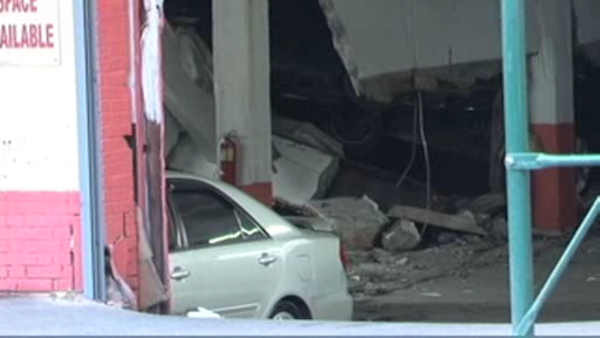 JEROME PARK, Bronx (WABC) -- Crews are on the scene of a collapse at a parking garage in the Bronx. The second floor apparently collapsed at about 6 a.m. Sunday at the two-story garage on Jerome Avenue in the Jerome Park section. There are no reports of injuries, and no searches for anyone trapped, according to the FDNY. Several cars were crushed in the collapse. The building was empty at the time of the collapse.